Same purple packaging as the non-frozen variety. Consistency – I like it. 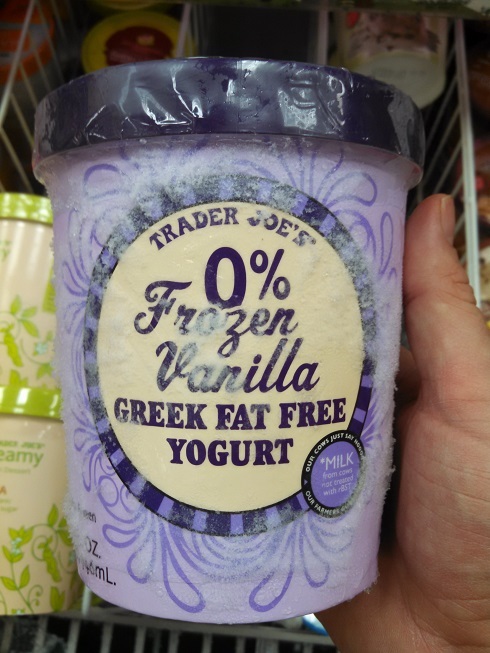 Sometimes Trader Joe’s nails the names, as with their Avacado’s Number guacamole, other times, as with Trader Joe’s 0% Frozen Vanilla Greek Fat Free Yogurt, they’re just being confusing. I dare you to parse that mangled phrase. 0% frozen, vanilla Greek, fat free yogurt. So obviously we’re talking about a 100% melted, fat free yogurt with the flavor of vanilla Greeks, right? This isn’t the first time Trader Joe’s has been syntactically confusing in their product titles (see Italian Blood Orange Soda, Thai Lime Shrimp, and French Berry Lemonade) but it is probably the most egregious. Just call it Fat-Free Greek Frozen Yogurt, you guys! At any rate, I was excited to see this on the shelves because, like my father and his father before him, I love that froyo! The low calorie, low fat version of ice cream, frozen yogurt is the salvation of anyone craving a frozen treat. 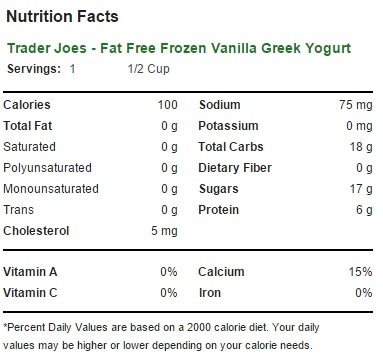 Trader Joe’s offers ordinary non-fat Greek yogurt in vanilla already, and this frozen variety is incredibly similar. It’s as if they took the yogurt available in the refrigerated case and just cooled it a few more degrees. I’m a big fan of TJ’s non-fat Greek Yogurts, going so far as to live my life by a yogurt clock, so I was basically won over as soon as I saw this. The frozen Greek yogurt capitalizes on all the best qualities of the non-frozen variety – it’s creamy, dense, and sweet (but not too sweet!) with a mellow tone of vanilla set against the yogurt tang. It certainly isn’t the sort of sweet creaminess you’d get from a dairy vanilla ice cream, but frozen yogurt isn’t trying to be that. And at a scanty 100 calories per 1/2 cup and no fat, it doesn’t have to be. I enjoyed this frozen yogurt in its own right, but it’s a basic enough taste that it can easy be dressed up with all the usual ice cream toppings, bits of crushed candy sweets, or even strawberries, raspberries, ripe peaches or plums. I mean, anything really, man. We live in a free and crazy age of bold experimentation – I can’t think of a reason not to pick up a tub of this and go completely nuts. 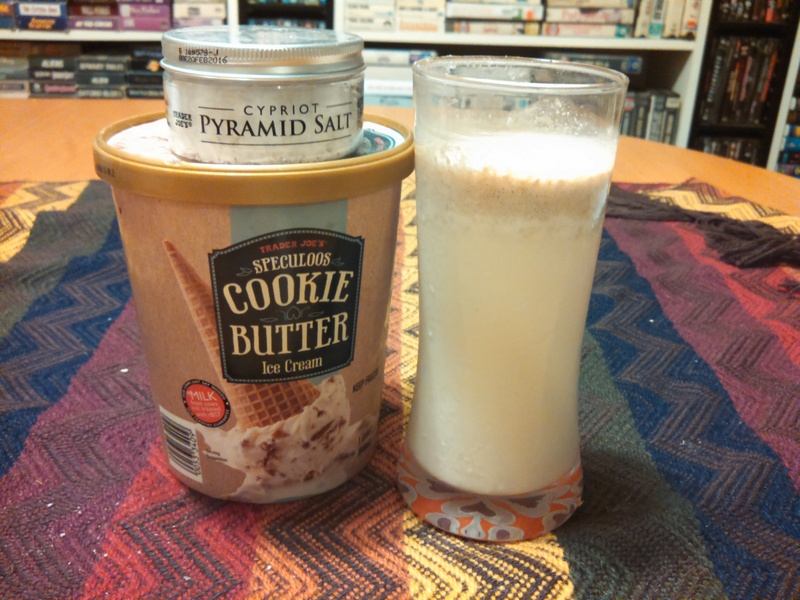 Would I Recommend It: For sure – no fat, few calories and sweet frozen goodness. That’s all good. Would I Buy It Again: Well, I finished eating this one already, so yeah. 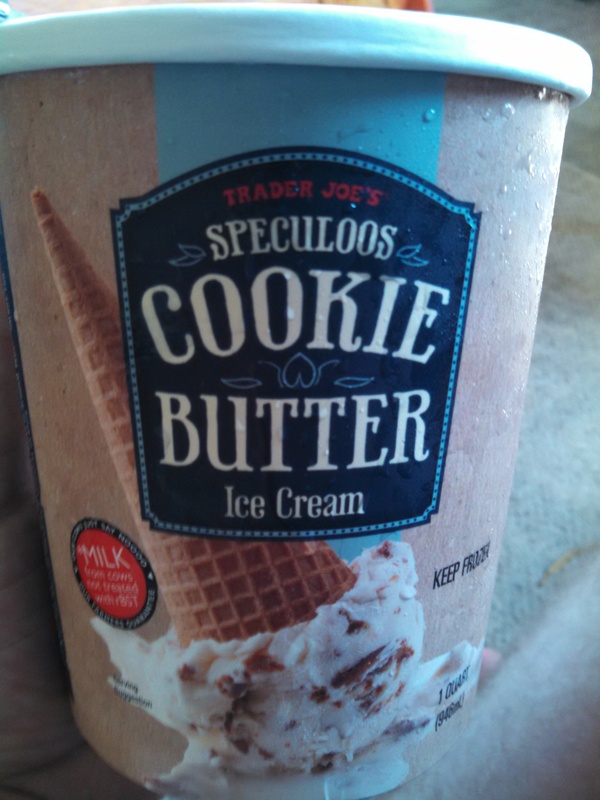 Final Synopsis: Pretty much exactly like the frozen version of TJ’s regular 0% fat Greek yogurt.